You know those tee shirts that feel amazing that first time you wear them, and then they never fit again because you decided you should probably wash it. This Bayside Men's Forest Green 7100 FST Short Sleeve USA-Made Work Shirt is made to not do that. Made with ... (see full details) (see specifications) #BAY7100FST. You know those tee shirts that feel amazing that first time you wear them, and then they never fit again because you decided you should probably wash it. This Bayside Men's Forest Green 7100 FST Short Sleeve USA-Made Work Shirt is made to not do that. Made with material that's already been pre-shrunk, this Bayside shirt fits before you wash it and after you wash it, so feel free to wash it as often as you need. The material is 6.1 ounce 100% heavyweight cotton and it is made to machine wash well. Heavyweight cotton is durable stuff that resists wear and tear when you wear this American made shirt. Natural cotton fabric is soft to the touch and breathable, so your body stays cool and comfortable throughout the work day. The material releases heat to reduce sweat and keep you feeling cooler while wearing this green shirt. The rich, forest green looks as good as this short sleeve shirt feels. A small pocket adds extra storage space for your stuff. This USA-Made shirt is made to be worn to work. It's got shoulder-to-shoulder taping to get a comfortable fit. The taping is a special sewn method that adds durability too, so do all the twisting, reaching, and bending that needs to be done throughout your work day while wearing this 7100 FST Bayside shirt. Even the hems are made to be durable and fray-resistant. They're made with double needle construction that uses two threads, not one, to create strength and durability. This Bayside Men's Forest Green 7100 FST Short Sleeve USA-Made Work Shirt feels amazing...and that's why you should order one of these today! This Bayside short sleeve shirt is very soft and well made. It is pre shrunk and ready to wear right out of the package. The collar stays flat and the sleeves have plenty of room so you don't feel any bind. We own several Bayside shirts because they are made to last. I have yet to be disappointed in the material and workmanship that goes into each shirt. Bayside Pocket T. Made in the USA! I am happy to see Working Person carrying more Made in the USA products! This shirt is true to size, heavy duty, well made and most importantly, comfortable! 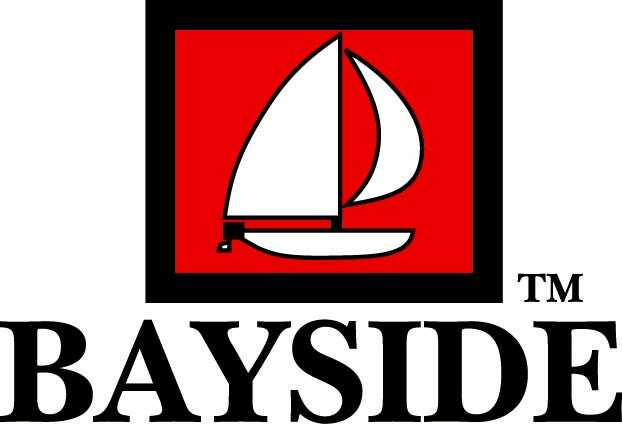 I've been wearing Bayside shirts at work and at play for a few years and they last. I most definitely will be buying more here in the future! I waited a few months after purchasing this t-shirt to give it a full review. I couldn't be happier with the shirt. Very well made, comfortable, and made in the USA. The shirt will shrink a little after washing. If you like your t-shirts to fit very loose I suggest buying one size up. I just stretched mine with my arm after I put it on and it stayed and went back to the size it was right out of the box. I will buy more of these, they are inexpensive, durable, and made right here in the good old USA. I try to buy American made items whenever I can and these shirt are a good example of what our country can produce. The material is of good quality and color will last after many washes. I use for work and play no signs of any wear. Buy with confidence. This t-shirt is very comfortable and fits well. It looks as if it was constructed well too. It would do fine as a work shirt, but my husband is going to wear it casually, which can be worn with a nice pair of jeans or shorts. Bayside Shirts: Men's Forest Green 7100 FST Short Sleeve USA Made Work Shirt is being added to your cart.